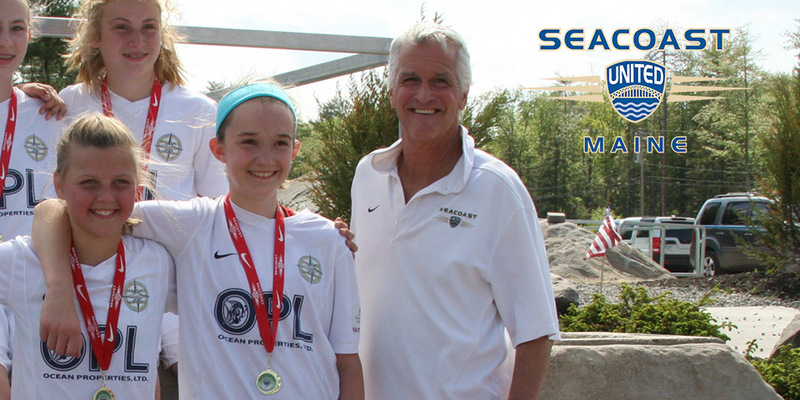 In this week’s “Get to Know” article, we will be learning more about long time Seacoast United Maine South staff member, Jim Wade. Jim will be coaching the clubs 2008 Boys Blue team for the 2018/19 season. I have been playing soccer since I first learned the game. There were no organized “premier clubs” or “programs” when I was a boy, back in the 1950s. Not where I grew up anyway in central Mass. The sports then were baseball, football, and basketball, with hockey being the sport I chose. I was an outsider, and loved cycling and soccer, both “European Sports” at the time, not really covered on national TV, and such. My house was just across the street from Fitchburg State College, which is now Fitchburg University, and at that time, they had no football program, only men’s soccer. I had to walk past the playing fields to get to my house every day, and I found myself mesmerized by watching the game, and would stop to take it all in. The college players noticed me, and “adopted” me to their team, they taught me the sport. I became the “ball boy” and went with them to all their games, home and away. They were my instructors and my coaches. Later in Jr High, we played soccer often, and I was a goalkeeper and defender. Believe it or not, in 1968, at Fitchburg High School in Massachusetts, soccer was not a sport. I played hockey and ran track. My soccer (and cycling) were all on my own. I was fast becoming an advanced junior cyclist. 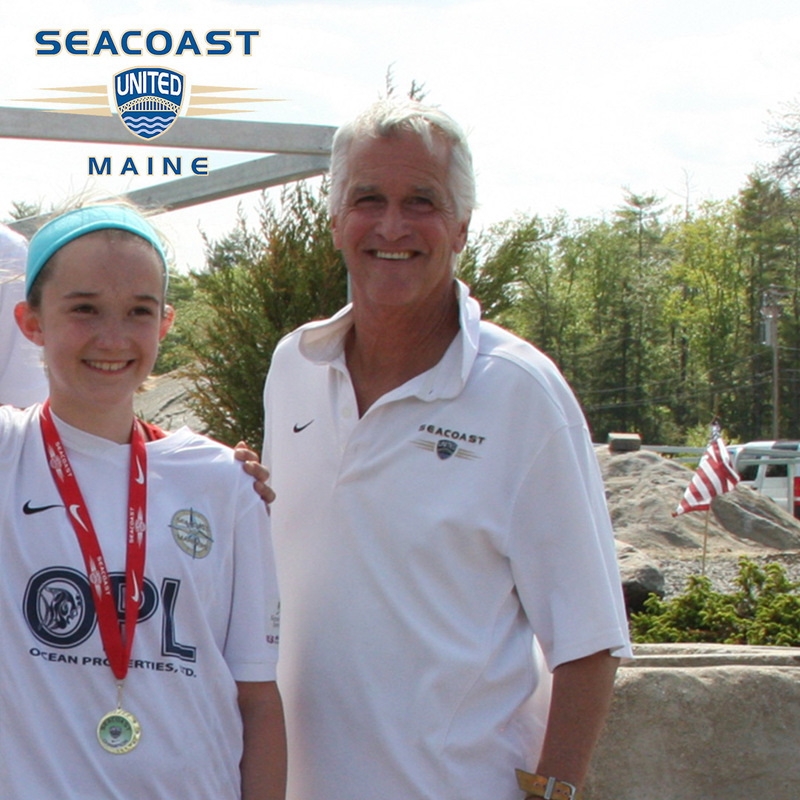 I was the Coaching Director at Coastal Soccer Club, one of the top Clubs in Maine. Seacoast United was looking to merge and come into Maine. A few key board members, Mike Healy being prominent, wanted to see if we could become part of Seacoast. I supported that, and after several meetings with Paul Willis and Ian Burgess, it happened. We knew that Seacoast was the next step up for us, that in order for Maine players to be exposed to the next level, we needed to grow and expand. Paul always had a vision, and we embraced that. Seacoast had a great reputation, and it was a perfect fit. Ah, tough question. In terms of soccer? George Purgavie- Men’s Coach at Bates, Mark Serdjenian- Men’s Coach at Colby, Brian Ainscough- Former Head Coach at Bowdoin, Ronnie Mckeachen- former Men’s Coach at Skidmore. All good friends, all my mentors. I was on Region One Staff for five years, and had some great fellow coaches and friends to this day. I have had some exceptional teams over the past twenty-five years, I had the original “Coastal Crew” that won 9 consecutive state championships, appeared in two Region one semi-finals. I have had some amazing girls’ teams that have been “Crew” teams as well. I coached at Bates from 2000 to 2004, and Colby from 2005 to 2011, and had some fantastic wins against Williams, Amherst, Bowdoin, and Wesleyan, all the top schools. I have coached boys’ and girls’ teams from Tabor, Pingree, Taft, Northfield Mt Herman, St. Paul’s, Exeter, and Deerfield Academy. I had the honor of coaching Jack Banks as a Mini, and now he is one of the top up and coming players in Maine. I coached Wyatt Omsberg as a 12 and 13, and he now plays in the MLS. I coached Garnet Hathaway from Kennebunk on my u-12 boys’ team. He always loved hockey, and now plays in the NHL. Some of my current u-11 boys are over the moon talented like Finn Coburn, Tyler Olson, Cade Potts, and Levi Mann. That would not be soccer. That would be some of the top cyclists in the U.S. that would come to Fitchburg every Fourth of July for their national bike race. I had the honor of racing with Greg Lemond as well as Lance Armstrong, even though I was not ever in their break groups! I raced for 15 years and still ride over 100 miles a week to this day. Yes, reading, writing, kayaking, running, hiking, cycling and growing pumpkins in Newcastle, Maine. 2018/2019 Premier League Winner – I loved that a Welshman won the Tour de France for the first time since 1903. That is more important to me and Martyn Keen!! !